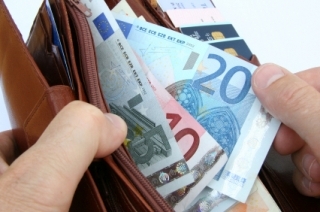 Revenue have today announced a limited and long-overdue increase in the maximum rates of subsistence expenses that employees and directors can claim tax-free for time spent working away from their normal base. This is the first increase in allowable Subsistence rates since the late Finance Minister Brian Lenihan slashed them by 25% during the 2009 financial crisis. It is telling that the maximum day rate of €33.61 (which remains unchanged since 2009, for some reason) is 13% lower than the corresponding rate of €38.57 that applied 10 years ago in 2005. There is no mention by Revenue of any changes to the allowable rates for motor expenses. Did the recent falls in global oil prices allow the government off the hook here? An increase in the allowable motor expenses rates is long overdue. Like the subsistence rates, motor expense rates were dramatically cut by 25% in March 2009, and haven’t been restored since. At that time, the price of a litre of motor diesel was below €1. Today, despite recent falls, it is still over 30% higher. The updated Revenue guide to subsistence claims also outlines their notoriously complex terms and conditions.